The chart is a measure of water depth over 48’ each day the water exceeds that mark. The daily values are summed over each year and each decade. Since water spreads as it passes flood state and since velocity of the river increases with increased height, this measure greatly UNDERSTATES the change of actual water volume increase as depth increases. In other words, the 2010s decade is worse, relative to the other decades shown, than this chart indicates. 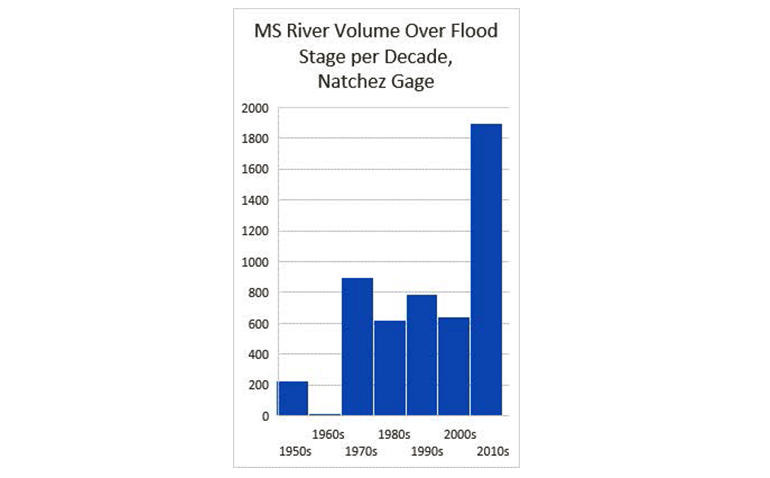 There has been more frequent and longer flooding of the batture below Natchez for over a decade. During heavy runoff, the MS River is preventing tributary drainage by the Yazoo and other rivers causing severe backwater flooding up to the Missouri River and beyond. 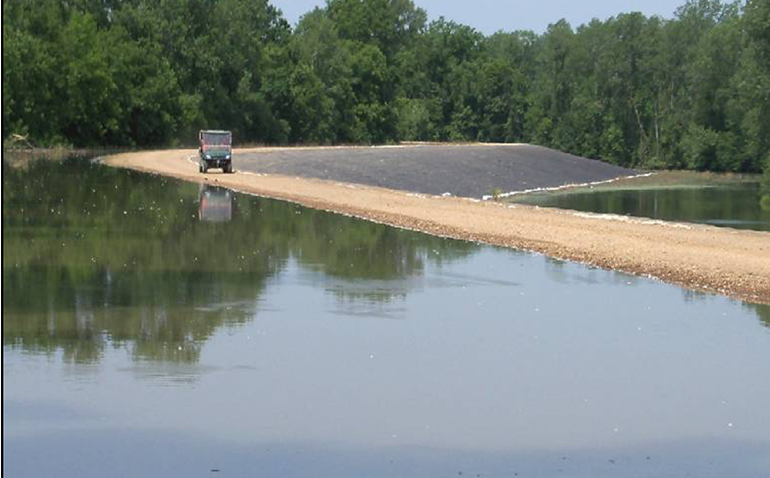 Years of increasing batture flooding has been a harbinger of more and worse backwater flooding, and both are harbingers of the potential for even more catastrophic flooding: a Mississippi River levee break. The astounding increase is no news to those near the Lower Mississippi River though —“Some people on the road carrying everything they own” from “The Levee’s Gonna Break” by Bob Dylan. For a couple of years I’ve read Bigger Pie Forum’s essays on the river situation with great interest. Would the Forum be willing (and would it be appropriate) for you to advise status and your informed opinion from time to time of the various legal activities being pursued by the State and by individuals to address this issue?